Good rock'n'roll music takes the listener to their own personal Nirvana and that is a very powerful force. Music is also so personal from person to person that what appeals to me would be impossible to match exactly with someone else and that is one of the reasons reviewing music still gives me a rush. Take Accomplice and their "She’s on Fire," for instance. It is hard to say what draws me to me to this CD. There's nothing hidden in the production; it's just simple, straight-forward music with a load of talent and a lot of heart. 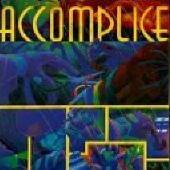 Accomplice is heavy on guitar and vocals with the drums and bass perfectly set in the back ground. AC/DC and Aersosmith have mastered that technique over the years and so does Accomplice on "She's on Fire." The band has opened for Deep Purple and that alone says a lot about them. The fact that Accomplice features Terry Ilous from XYZ fame tells you even more. For more information, check out http://www.accomplicemusic.com. Accomplice is a progressive, melodic hard rock band that bring to mind the work of Emerson Lake & Palmer, Styx, Axe and even Rush. Not as rough-edged as, say, Deep Purple, but not as complex (guitar-wise, at least) as Stratovarius or Gamma Ray, Accomplice boast a keyboard-heavy sound with sometimes screechy vocals that are a cross between the guy from Styx and Geddy Lee from Rush. Heavy metal fans probably won't find a lot to love with Accomplice. The music is too mild and too dependent on keyboards for those who prefer their music a little "chunkier." 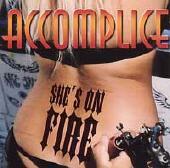 However, fans of the progressive, melodic hard rock style may want to give Accomplice a listen. Accomplice is: Stephen Green - lead vocals; Sean Clegg - guitars, vocals; Scott Snyder - bass, vocals; Richard Arbuckle - drums. For more information, please visit http://www.adrenaline.it.